Hotel-Residência Proquil – your familiar and friendly hotel in the heart of Bissau – a cheap hotel Bissau for business travelers, tourist and residents. 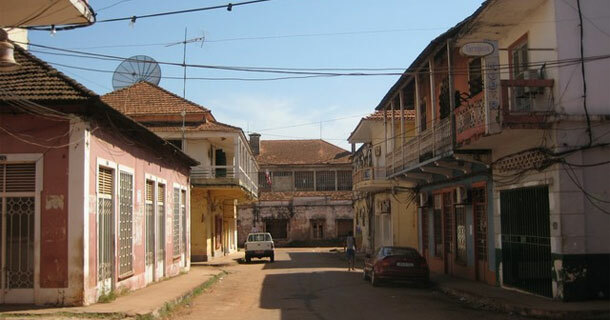 You plan to stay for some days or week for a trip or business in Bissau? Welcome! At our hotel you will find basic service at Bissau’s best Hotel rates. Situated in Bissau velho, the old colonial centre, we are just a walking distance from all major attractions, ministries etc. Have a walk to Bissau’s famous port “Pidjiguiti” and enjoy the oceans breeze. We hope you find all necessary information to plan your stay in Bissau here. O Hotel-Residência Proquil – o seu hotel no centro de Bissau – para viagantes e residientes – bem vindo no nosso sitio web. For further questions – don’t hesitate to contact us!